Lighthouses across NSW's national parks will be hives of activity on the weekend of August 21-22, with visitors enjoying free guided tours and family events in celebration of International Lighthouse Weekend. Located on isolated headlands and islands along the coast, these historical lightstations and their accompanying buildings were once home to lighthouse keepers and their families. International Lighthouse Weekend delivers a rare opportunity for visitors to discover their fascinating stories. Green Cape Lightstation will be open for evening tours on August 20 and August 21 when the original light will be operating. Built in 1883 and perched on the edge of a peninsula in Ben Boyd National Park on the far south coast, the lightstation is the tallest and most southerly in NSW. 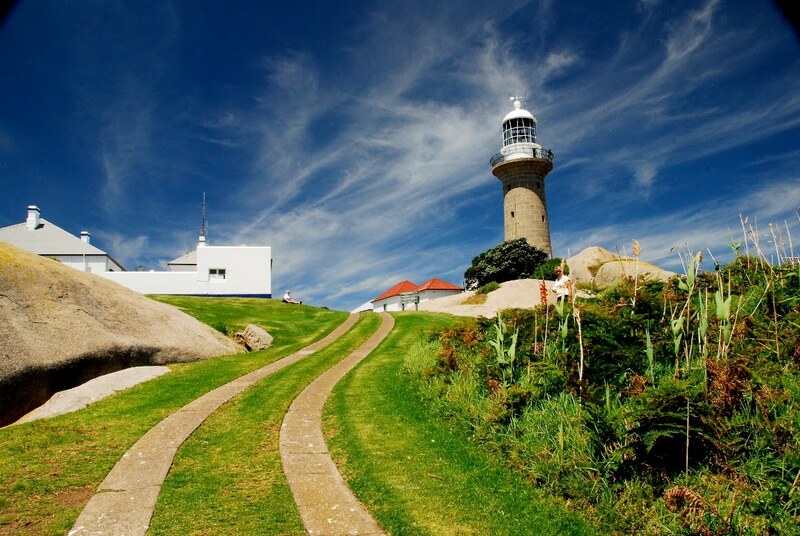 The lighthouse will also be open for inspection from 10:00am to 4:00pm on both days of the weekend. For more information, call 1300 361 606. Built in 1862, Point Stephens Lighthouse is one of the most distinctive lighthouses in NSW, with its circular tower, flared base and grand external stairs. Standing tall above the rocks and coastal heath near Fingal Bay in Tomaree National Park, 50 kilometres north-east of Newcastle, the lighthouse will be the highlight of guided walking tours to Fingal Island on August 21, between 10:00am and 1:00pm ($15 per person). Visitors can also appreciate the lighthouse from above with a special one-hour Discovery helicopter tour on August 22, priced at $230 for three adults or two adults and two children. For bookings, call 02 4984 8200. Standing on the most easterly point of the Australian mainland, the lighthouse in Cape Byron State Conservation Area on the north coast will be open to visitors across the weekend, with guided tours running at 12.30pm, 2.00pm and 3.30pm on August 21. The lighthouse museum will also be open from 10:00am to 4:00pm, and Cape Byron Friends volunteers will host whale-watching activities throughout the day. For tour bookings, call 02 6685 5955. Montague Island, off the coastal town of Narooma, will be celebrating with half-price guided tours of its historic lighthouse and lighthouse keepers' complex, built 130 years ago. 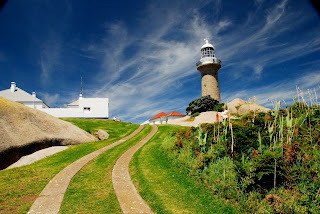 The only way to visit Montague Island Nature Reserve is via an organised tour including lighthouse and a chance to spot the hidden breeding boxes helping support the island's 8000-strong little penguin colony. Two tours will be operating, departing Narooma wharf at 3:30pm on August 21 and 9:30am on August 22, costing $65 adults, $50 children and $215 family. For bookings, call Narooma Charters on 0407 900 111. Spectacularly sited on the promontory at Palm Beach, the historic lighthouse on Barrenjoey Headland offers panoramic views of Broken Bay, Ku-ring-gai Chase National Park and the coastline north of Sydney. Accessible by a steep track, Barrenjoey Lighthouse can be explored on one of the organised tours running every Sunday, including August 22, between 11:00am and 3:00pm. Set atop Smoky Cape headland in Hat Head National Park, the fully-operational lighthouse and its Keepers' Cottages will be open to the public for viewing on August 22. The cottages have been carefully restored and converted into bed and breakfast accommodation, where guests can spend the night. Devonshire Tea and scones will be served at the Head Lighthouse Keepers' Cottage throughout the day. For tour bookings, contact 02 65665301 or 0419665301. Price is a gold coin donation.